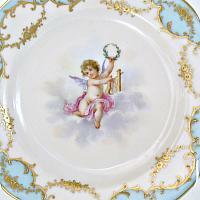 Exceptionally decorative, this Antique Dresden Cabinet Plate is absolutely divine. 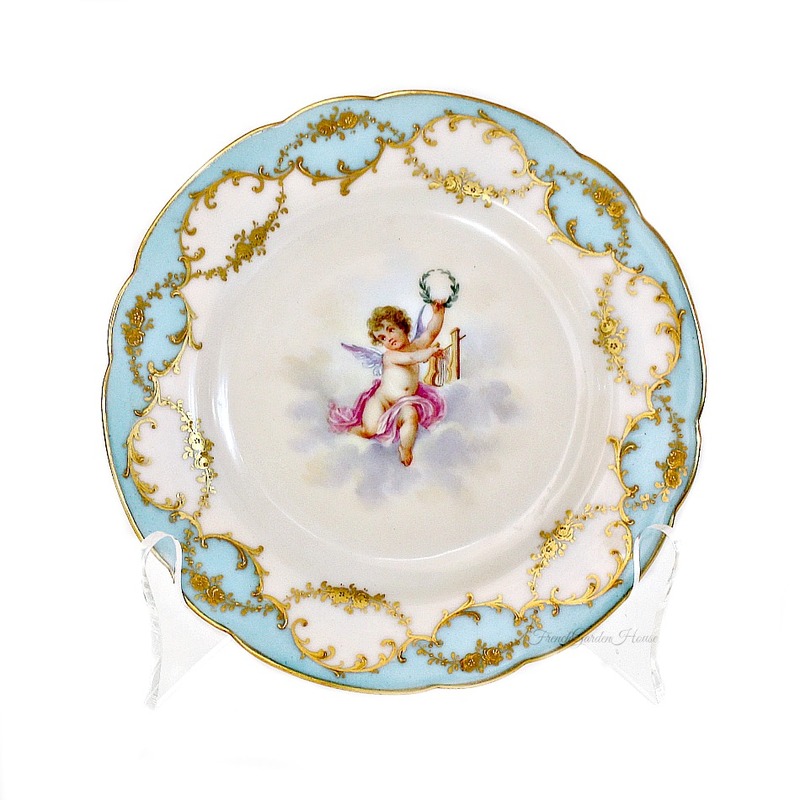 Breathtaking early handpainted Dresden portrait plate by Ambrosius Lamm, this plate has a lovely Blue border that is lavishly decorated with hand painted floral garlands of heavy gilt and gold beading. 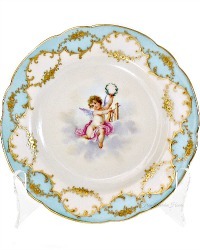 The central painting is of a beautiful cherub, seated on fluffy clouds, playing a harp and holding a laurel wreath, the ground is a pale elegant pink. 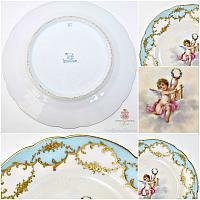 This plate is completely hand painted, it is a true collectible work of art. The back of the plate has Ambrosious Lamm's backstamp. Ambrosious Lamm is considered one of the most sought after porcelain decorators in the Dresden style, he was a perfectionist and was very particular about which items he chose to decorate. He started his porcelain business in 1887, the Lamm studio only decorated pieces from the best porcelain manufacturers such as Meissen, KPM and Rosenthal. 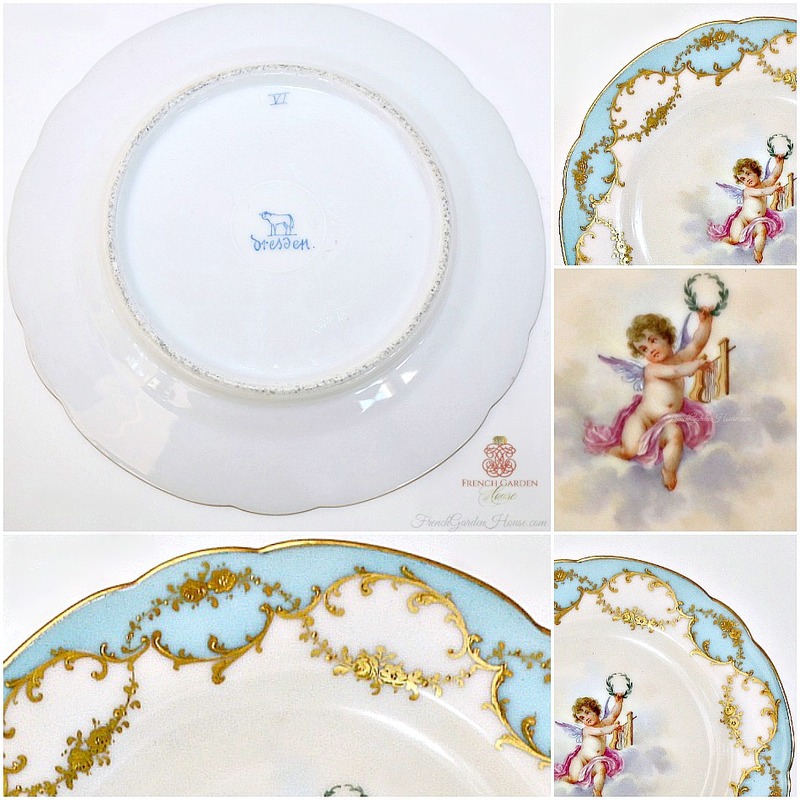 This is a stunning addition to your collection of antique porcelain, or an heirloom gift for someone you love. The gold is rich and heavily applied, the colors still as rich as over a hundred years ago.